Position: Technology specialist and wizard. Realm: Rilon is a civilization built entirely on technology. The population is made up of a race of cyborgs. Their world has no vegetation. Profile: Cyborg. 70% machine. A member of the advanced analytic core of Rilon. Personality: Lacking emotion. Cynical. Very analytical and logical. 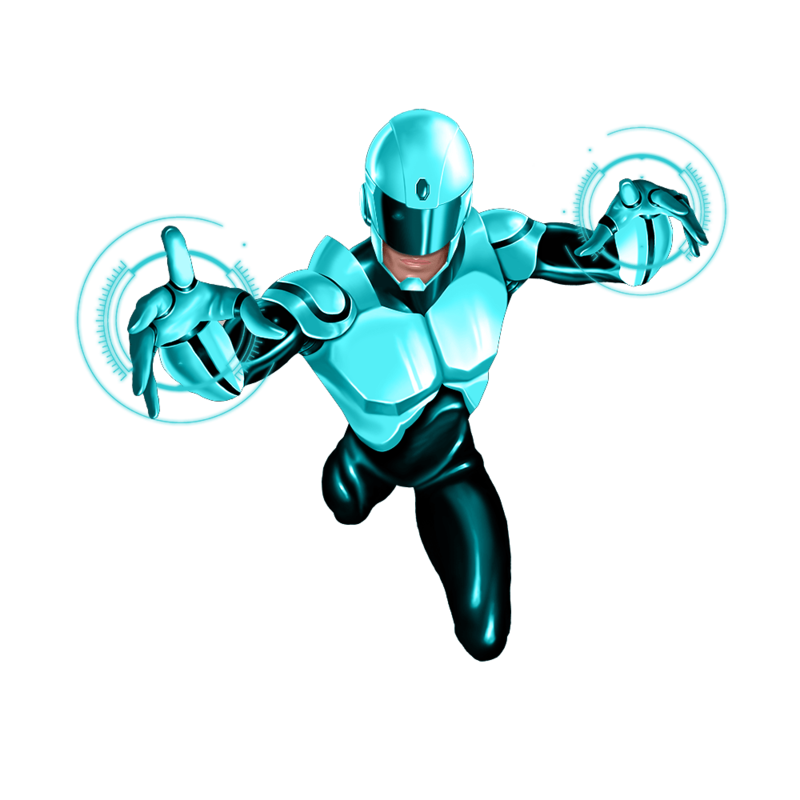 Abilities: Stephen has the ability to manipulate the electromagnetic spectrum. He also has the ability to communicate with and control any computer-based technology. His internal processor's speed is 400 GHZ. Stephen was one of the many children of Rilon born in test tubes. He had no mother or father but was one of a group of children who were assigned a caretaker. He did not learn any social skills but was taught that each member of Rilon society must function to ensure the advancement and prosperity of the whole. At the age of twelve, all children are assigned a societal responsibility that will determine what cyborg enhancements they will receive. Stephen was assigned the role of analyst. Stephen has always pursued knowledge. He never saw the value of anything else. He fails to see the relevance or importance of spiritual things and considers them foolishness. All the people of Rilon work towards creating a technological singularity. Stephen, using his superior analytical skills, quickly advanced through the ranks to become a member of the Senior Analytical Core of Rilon. Stephen is a Transhumanist and believes that the real purpose and fulfilment of humanity is to transcend it. The technology exists to take humans beyond humanity. To him, there is no problem that cannot be solved through science and technology.